Regular readers may know that I have a couple of personally held philosophies on toys. Number one, no more plastic and number two, a place for everything equals less mess. Hopefully I don’t sound too sanctimonious but I do try and keep to these so I’m always on the look out for something that fits. Step up, these great crayon holders. 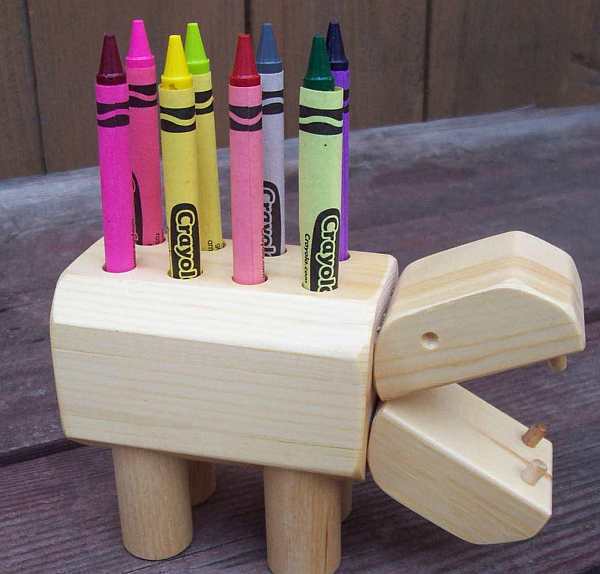 Crafted by Oregon-based Jim Penner, choose from hippos or elephants, trucks or fire engines. Made from pine or maple with a non-toxic laquered finish, they come complete with crayons.You can also personalise a truck with a child’s name to make it that extra special. These make great gifts or party favours and with prices starting at US$7.50 plus shipping, they won’t break the bank. Take a look at all of Jim’s other wooden products too. With forty years of experience making toys, I think he might know a bit about what kids like! All available online from Etsy.